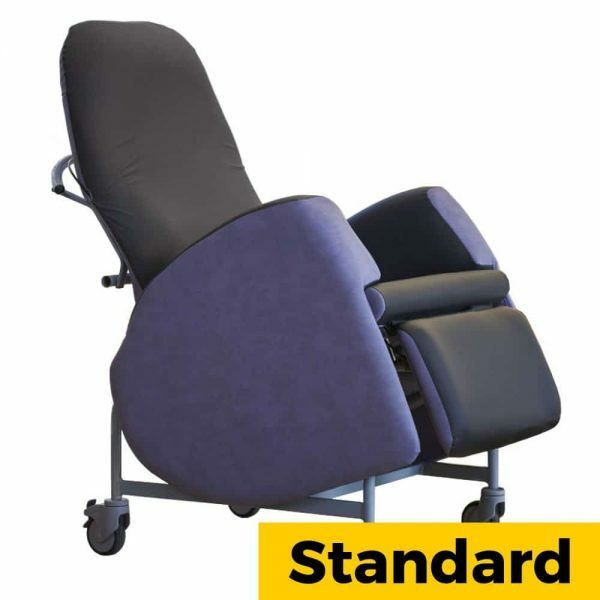 A dynamic and highly mobile seating system, the Kirton Florien II is a specialised porter chair perfect for use in nursing and residential homes as well as hospital wards, hospices and of course domestic care environments. 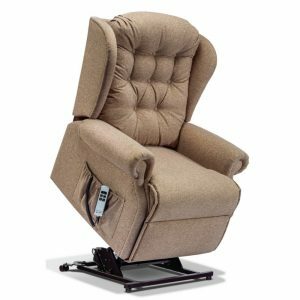 The Florien II improves independence by promoting correct posture and facilitating a supportive, comfortable seated position. The Florien II is also available with a wide variety of modifications, making it customisable to the needs of any user, though it should be noted that many of these options carry an additional charge, which is listed where applicable. 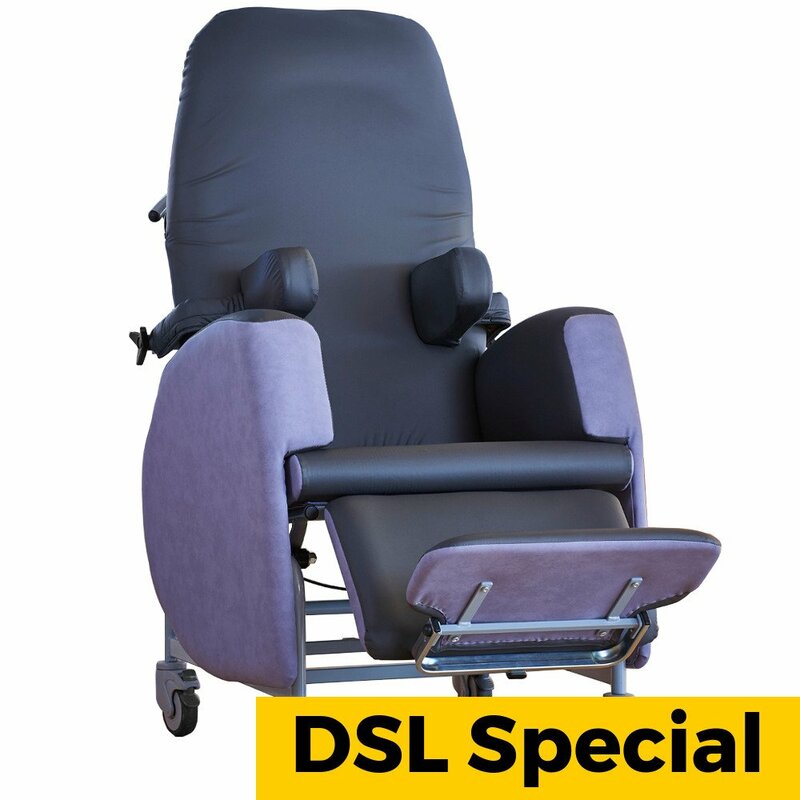 However DSL can offer a specially curated selection of extras by our Seating & Positioning specialist, offering additional support to more long-term users. This configuration, we call the DSL Special, and is detailed below. 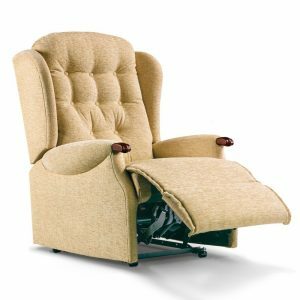 The Florien II is built with specialist, care-orientated fabrics and is upholstered with a Dartex Inner and Vinyl Outer. A selection of colour and pattern options are available, including a premium range (for an additional £69.55) fabrics. Swatches are available to view in-store. 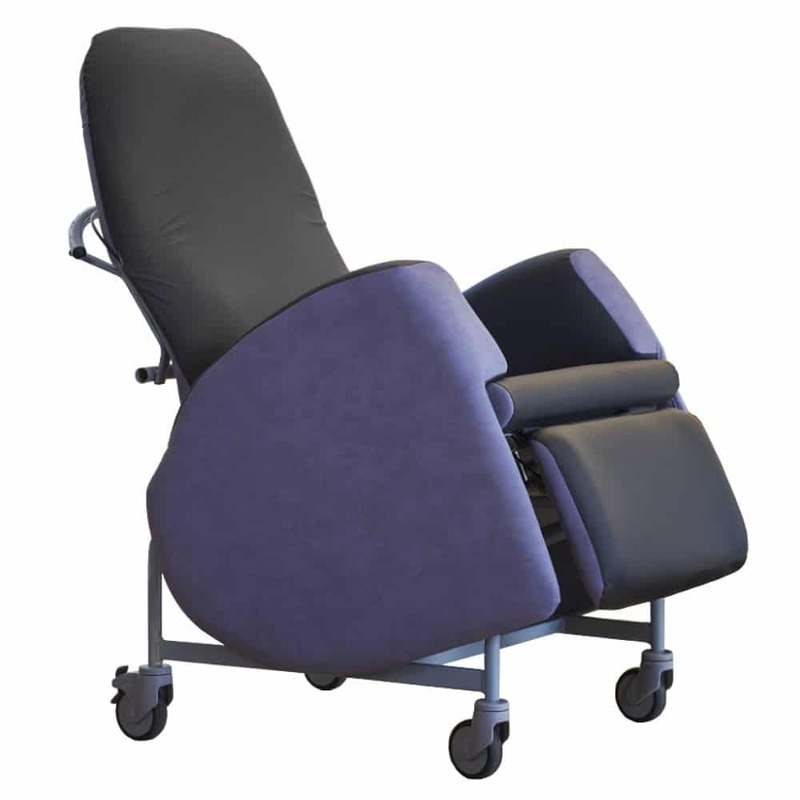 A key feature of the Florien II, is the sheer number of options available, allowing you to customise the chair to suit the needs of specific users. The full list of extras, as well as their prices are shown below. Whilst DSL is happy to offer a-la-carte choice on the available extras, We have put together a great package of extras that we like to call the DSL Special. This specially curated selection is aimed to help those users who spend long periods of time in the chair: Securing the user comfortably in place with Lateral Supports, raising the user’s feet with a Flip-Up Footrest and offering the highest level of pressure care with Intelli-Gel. 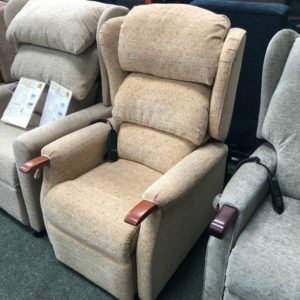 We like to add these extras to the Florien II’s available in-store, but if you would prefer a different combination of extras, don’t hesitate to ask. This product is guaranteed for 12 months, parts and labour from date of purchase. It is covered for any defects or faults within the defined period. 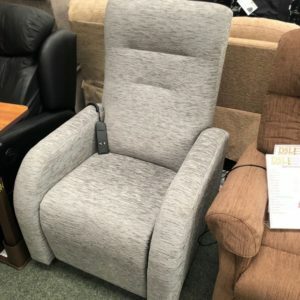 This guarantee covers the electrics and frame of the chair only.